Where does that image come from? Is there a higher resolution of that image somewhere out there? There are different ways to do this, since several search engines now offer such a photo search via file upload. This site maintains a list of all those engines, together with explanations how to find this feature. The list will be updated frequently (last update 10 – 2015). If you know of new resources or tools that should be listed here, please contact the Webmaster. A note before you start: Finding similar images is a non-trivial task. Surely, if you are looking for an exact match of exactly this image in exactly those dimensions, a simple pixel-by-pixel comparison can do the job. But what if you have a cut-out version of the original? Or a blurred version? A photoshopped version? Vendors need to use sophisticated pattern recognition algorithms to give you good results. And this is ongoing research. What I want to say is: If your image cannot be found today, it doesn’t mean that it is nowhere out there. Try tomorrow. Algorithms improve all the time! If you are visiting this site from your mobile phone, you can skip the PC Browser links and jump directly to the mobile phone solutions here! Go to Google Image Search, then move your mouse into the search phrase input field. A camera Icon will appear at the right end of the field. Click on that icon, then you have the options to either type a URL of your picture, or to upload it from your disk. Use the link to the left to reach Bing’s image search, and click on the icon next to the input field. You can then decide to either input your picture URL or to upload a file. At the right end of the input field, there is an icon symbolizing a camera with a zoom glass. Click on that icon, and then either click on the text link to the left for file upload, or put the URL of your photo into the right input field. Use the link given to the left, and then either type your image’s URL into the input field, or press the blue button to the right to select a file from your disk. PicTriev PicTriev – Searching Faces on the Web Uses face recognition to search within a database of “celebrities”. So on one side it is of great use for people search, but the database is quite limited to (more or less) famous people. 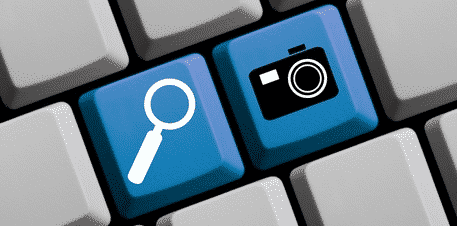 ImageRaider ImageRaider By using Google, Bing and Yandex altogether, this site can deliver more results than by doing an investigation with a single engine. Especially since those are usually not usable with mobile devices. For reverse image searching on mobile devices, this is one of the best engines. Berify Find stolen images on Berify Reverse image search for stolen images. KarmaDecay Karma Decay Image Search Reverse image search for images available at reddit.com (beta). ScamDigger Scam Digger Pic Search Looks for pictures from “romance scammers” on romancescam.com forums.